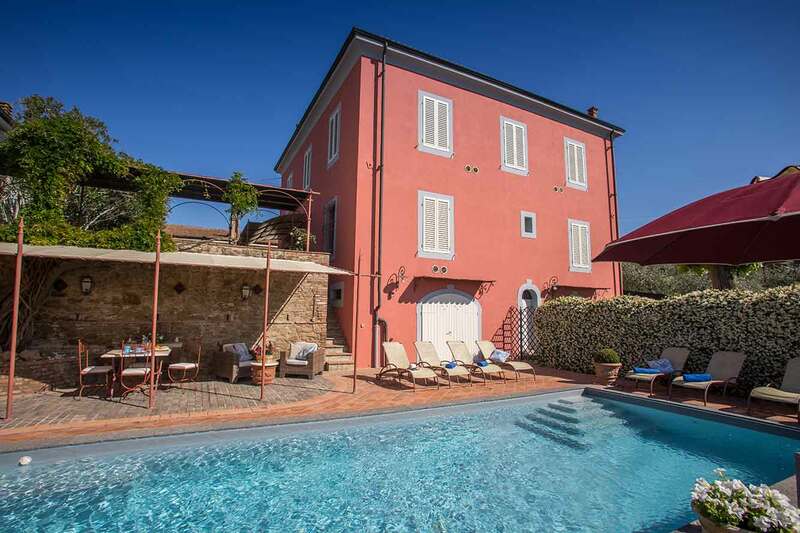 Exclusive 19th century Liberty Villa close to Volterra. The villa is set on 2 levels and offers 5 bedrooms and 3 bathrooms for up to 10 + 3 people. 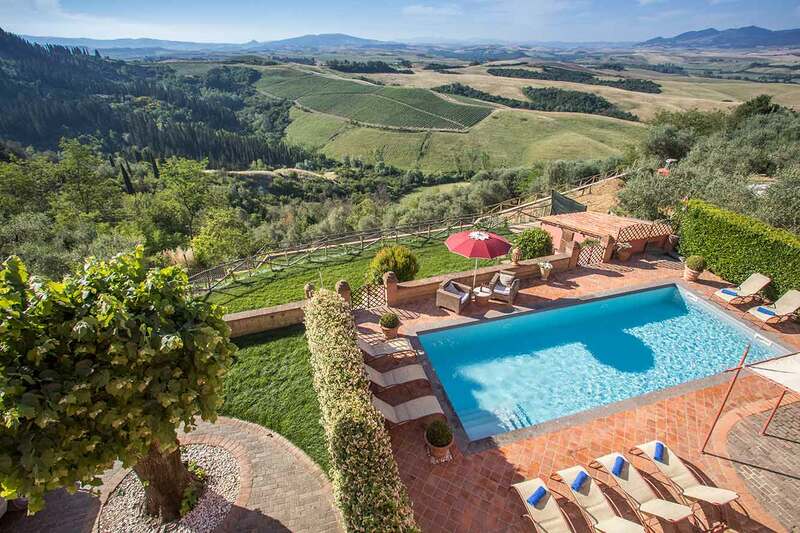 Ideal location to experience Tuscan hospitality, medieval flavor and timeless comfort, high Class Facilities. Private 4 x 12 m swimming pool with Jacuzzi corner. Customized playground for children, table tennis, SAT TV. 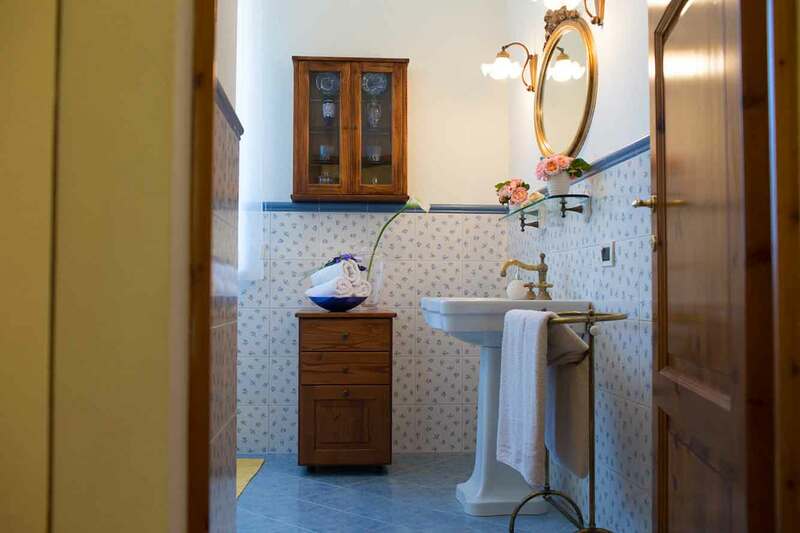 Only 100m walking distance to a small village, 23 km to the next train station and approx. 40 km to Pisa airport. 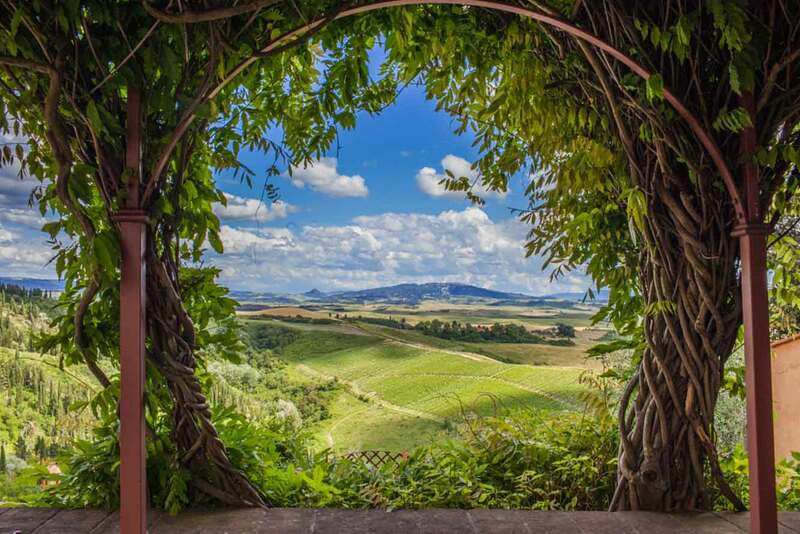 The view of Volterra, a hamlet still infused with the style of bygone times and the hill blanketed with vineyards and olive groves make this private villa an ideal choice to experience Tuscan hospitality, medieval flavor and timeless comfort. 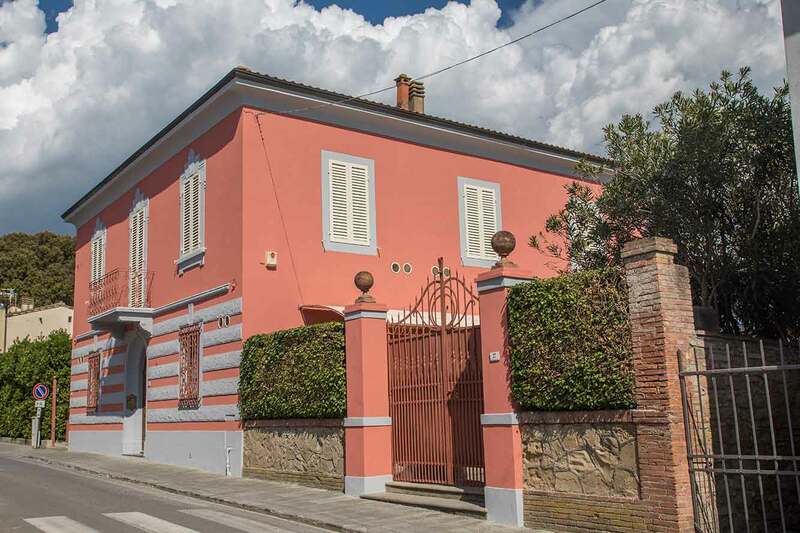 VILLA PADRONALE is a two-store building on two levels with 400 square meter living space altogether and impressive interior design. On the first floor guests will find the living room enthroned by a stone fireplace and furnished with sofa, armchairs. 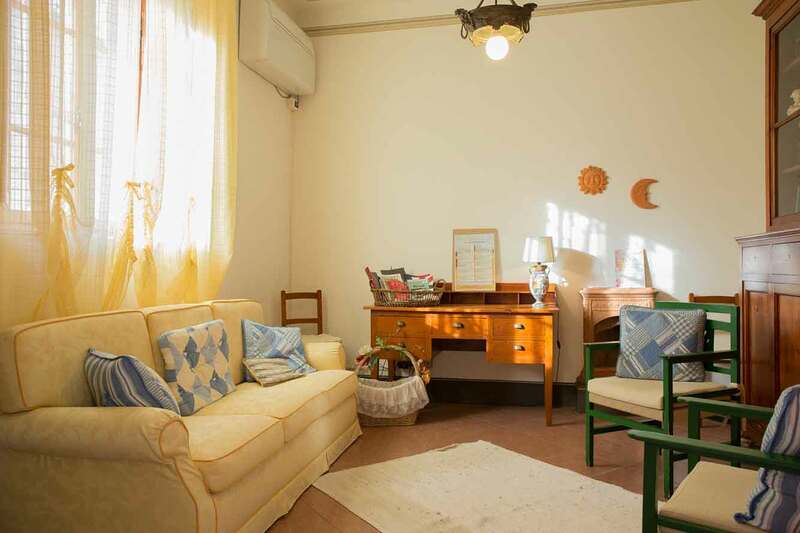 There is a large sitting room embellished with frescoes, a dining room with fine crystal top table and a kitchen with all comforts guests may need and a store room. On the same level is a library to choose a good book from and a bathroom with a shower. The 4 x 12 m swimming pool equipped with deckchairs and sun umbrellas is located on a level which provides sweeping views. For sheer pleasure relax in its Jacuzzi corners. 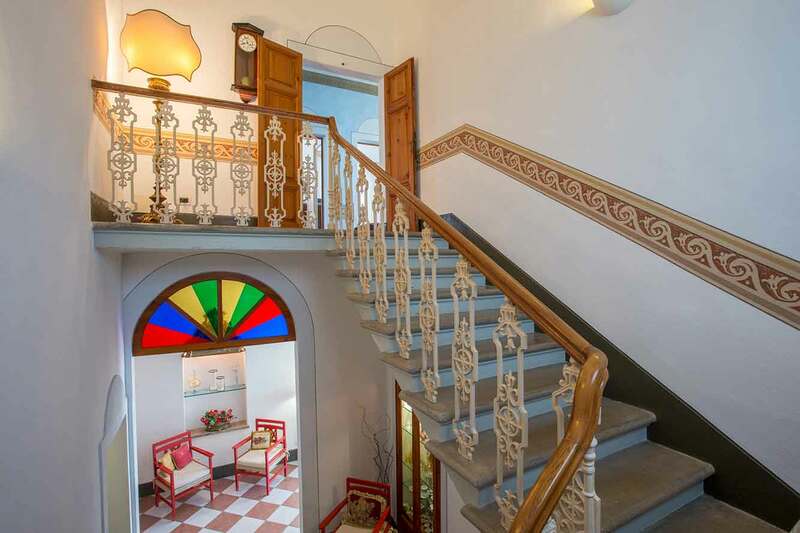 A rustic stone staircase with wrought iron balustrade leads to the second floor. 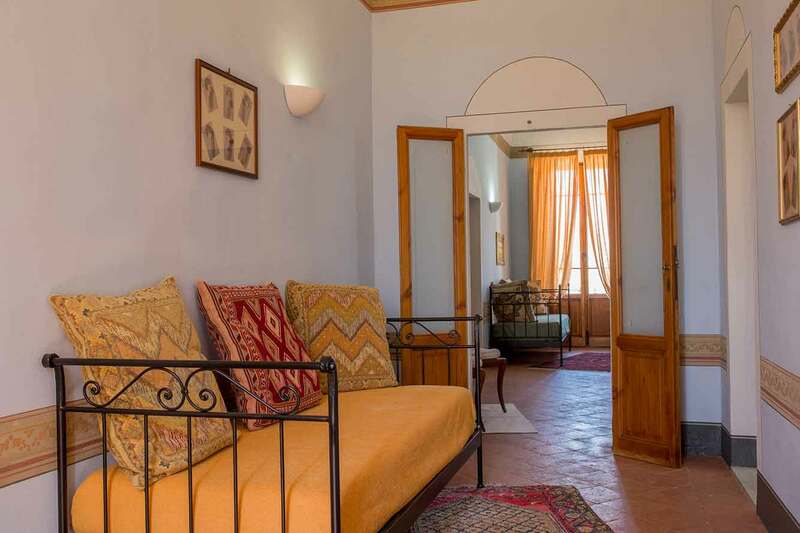 Upstairs are the corridors taking guests to two double bedrooms of which the master one is furnished with a romantic four poster and two bedrooms with twin or double beds (depending on guests’ choice). In 3 bedrooms guests can request to add a single bed (Extra), increasing the accommodation capacity to 11 guests. Spectacular Villa. 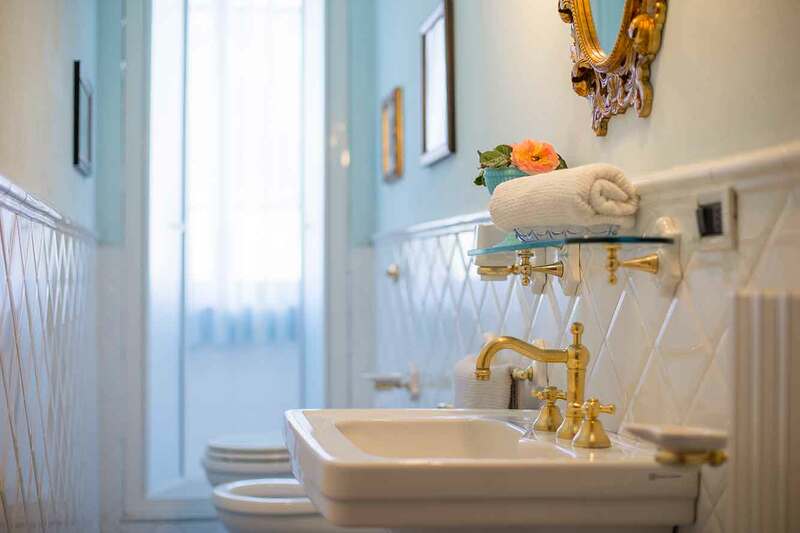 Wonderful,luxurious accomodations, convenient in town location with country feeling,very helpful owners, We had two weeks in Italy and only spent four nights at Montelopio and six nights in Florence. Everyone agreed that we should have spent more time at Montelopio. It was the best part of the trip by far.